Have you been living with a mark or pigmentation that has always made you feel embarrassed or self-conscious? Freckles, birthmarks, and port wine stains are harmless pigmentations that typically occur at birth, but depending on the shape, size, and location, these marks can detract from one’s appearance or draw unwanted attention. Birthmarks are not always present from birth; occasionally they will show up after. Some birthmarks will fade away on their own, while others linger into adulthood. Especially prominent birthmarks can cause self-consciousness and embarrassment for both children and adults, but most can be treated safely and effectively through a variety of treatment options in our dermatology office in San Diego. Birthmarks can be of two types: pigmented or vascular. Pigmented birthmarks are the result of large concentrations of melanin in one spot, and are most often brown in color. Types of pigmented birthmarks include cafe au lait spots, moles, and Mongolian spots. Macular Stains – Faint red marks that are also known as salmon patches, stork bites, or angel kisses. These appear more frequently on the eyelids, forehead, neck, nose, back of the head or upper lip. Hemangiomas – Superficial or deep pigmentation that may appear as a red mark (strawberry mark) or a bluish mark if the blood vessels are located deeper in the skin tissue. Port Wine Stains – Reddish or brown discolorations that look like wine has been spilled on the skin. These marks most often appear on the face, neck, arms, and legs. Pigmented Marks – Formed by an overproduction of pigmentation in the skin at birth or due to hormonal fluctuations, such as pregnancy. These marks are often tan, brown, or black. Café au Lait Spots – Light tan colored pigmentations on the surface of the skin that looks as though coffee with milk has been spilled on the skin. Moles – Also known as nevi or nevus, moles are a general term for a tan, brown, or black discoloration on the skin that may be present at birth or develop later in life. It is important to monitor moles for any changes in size, color, texture, and sensation to determine whether or not they have become cancerous. Depending on your form of vascular pigmentation and specific skin type, your best treatments may vary. 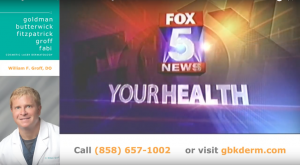 However, the insight of a skilled dermatologist in San Diego will help you better understand how to treat these conditions for the best looking and longest lasting results possible. At Cosmetic Laser Dermatology, our board-certified dermatologists in San Diego offer a number of treatment options to successfully get rid of dermal and epidermal pigmentations. If you have a birthmark (or birthmarks) that you’d like to eliminate, our skin specialists must first determine which treatment option works best for you. We offer the following treatment options for birthmark removal. IPL, or intense pulsed light, is a good option for treating superficial red and brown birthmarks, along with other conditions that cause redness, such as rosacea, sun damage, and spider veins. An IPL treatment is gentle and effective, with no recovery time required. IPL can be used safely on the face, arms, chest, back, legs, and hands! PDL, or pulsed dye laser, is another good option for reducing red birthmarks. The light of a PDL treatment is absorbed by the hemoglobin in the red cells of the affected blood vessels, thus eliminating unwanted red capillaries. 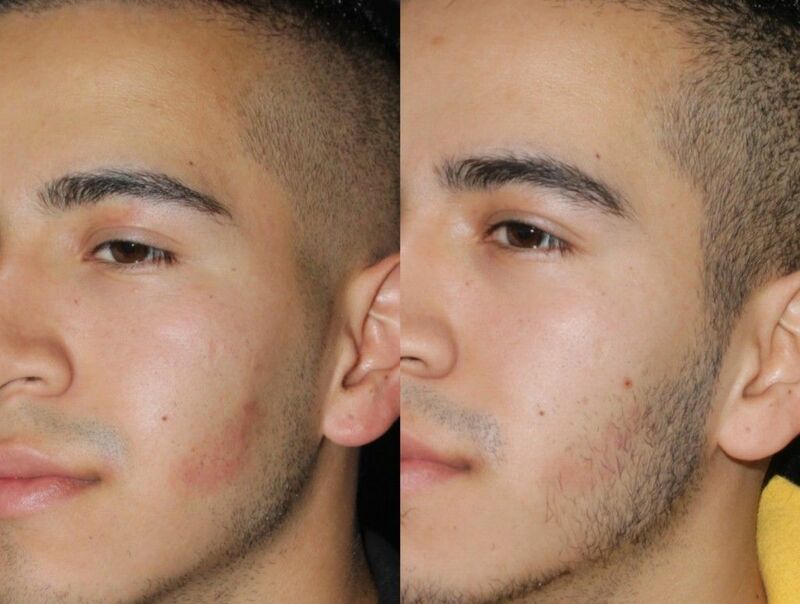 PDL is a safe and effective choice for reduction of red birthmarks, with no downtime necessary. 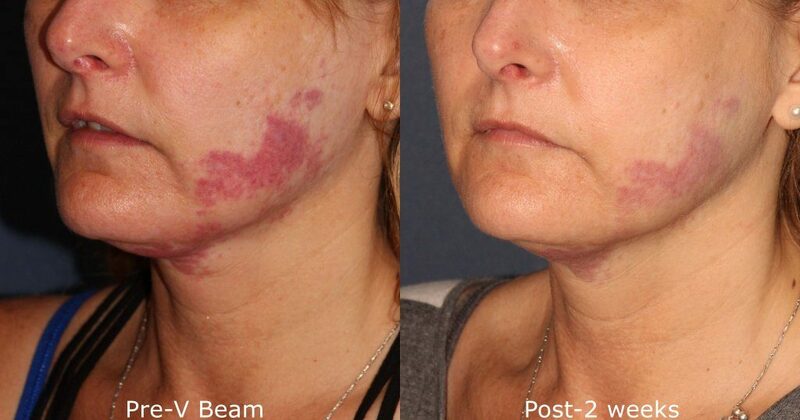 The Lumenis ResurFX is a laser which can be used for pigmentation problems, including brown birthmarks. It is a non-ablative laser which gently reduces pigmentation, leading to a smoother and more even skin tone. The ResurFX requires only one pass for full results, reducing the amount of time a session takes and protecting the patient’s skin. 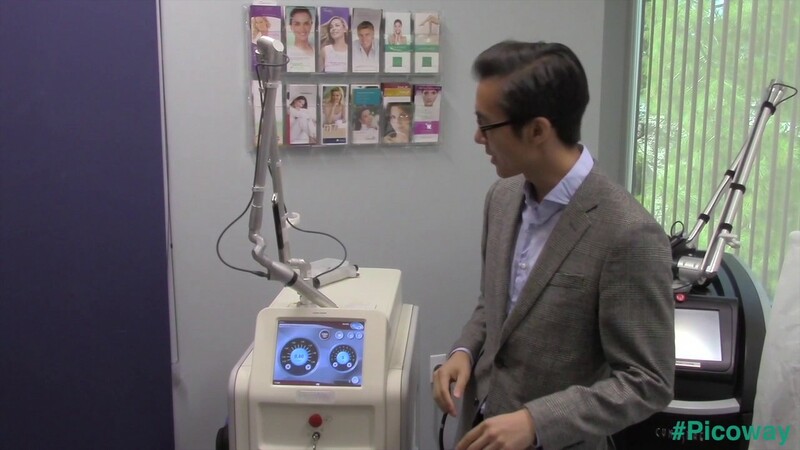 This laser is very gentle and effective and requires no downtime.